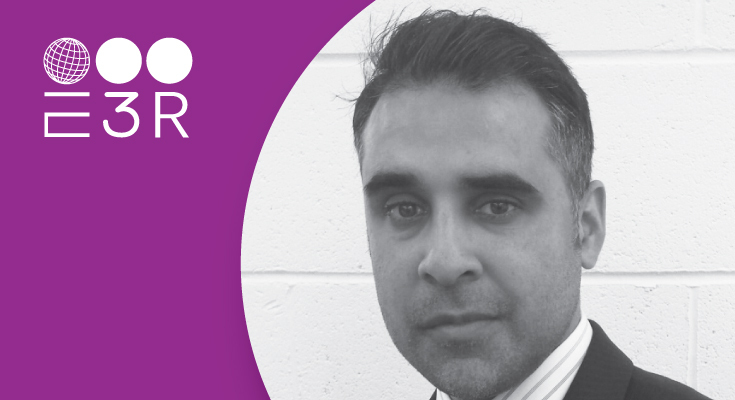 Find out what E3 Recruitment’s Regional Manager Shabbir Ahmad does on a daily basis. I began working at E3 Recruitment in November of 2015. I started life in the recruitment industry in 2003 as a Trainee Recruiter after I graduated with a degree in Finance which definitely helps when calculating charge rates. Since then I have had a number of roles in Engineering, Manufacturing and Technical recruitment including Management, Business Development and now as a Regional Manager. Upon arrival in the office in the morning I lead our daily team meeting making sure the team are aware of the tasks ahead and who is doing what. I then check through my emails and focus on business development calling new clients gained via leads and contacts to introduce our services. I attend client meetings arranged previously and call clients to follow up on CV’s and interviews. I conduct telephone and face to face interview with candidates for job roles and keep in touch with candidates that we have put forward for roles and are awaiting feedback. I am responsible for advertising new roles gained that day and updating our activity boards in terms of placements and financials. I end the working day by reviewing the day’s progress and planning the next day. With regards to clients, trying to obtain feedback from them in terms of the candidates presented can be a challenge. To overcome this, now whenever possible we try and meet clients and go through the CV’s face to face and gain feedback that way. Also obtaining full briefs on the positions clients want filling and what they want in terms of the person can be a challenge at times, which ultimately makes our job harder. With regards to candidates, it’s frustrating when they let you down by cancelling interviews or do not attend work. What would you consider to be a good day in your role? A good day for me would be a new client or tender win. Whilst also placing candidates in roles that they really wanted. Seeing my team flourish is also important to me. What do you enjoy most about working at E3 Recruitment? It’s a fantastic working environment where the Directors are hands on and very supportive with Engineering and Technical backgrounds with collectively over 60 years’ experience. E3 Recruitment is a fast growing company which means there are career opportunities for the future. Building relationships with clients and candidates is the most important aspect of the role, both consulting and advising both on the next steps they should take. This means being a good listener with excellent communication skills being both personable and approachable. Being passionate about your job is vital as at times it can be challenging finding the best candidates in the market, so you need to be relentless. Strong sales skills and knowledge of the industry and the areas that you work in is a must. Also having a team ethos and values is paramount in the Regional Manager role as I am responsible for motivating and driving the team. What is an interesting story about a client/candidate interaction you had? A client who is now a Manager of a Fabrication firm used to be the Apprentice of a candidate that we supplied. They hadn’t met each other for over 20 years, and the former apprentice became his once mentor’s Manager, so it was a good reunion. I have placed a number of candidates within businesses that now have become my clients.